!4' boat on truck rack? Post subject: !4' boat on truck rack? Like the title says. I carry my 12' on my rack, but there are some lakes that we go to where I want the bigger boat with the larger motor. 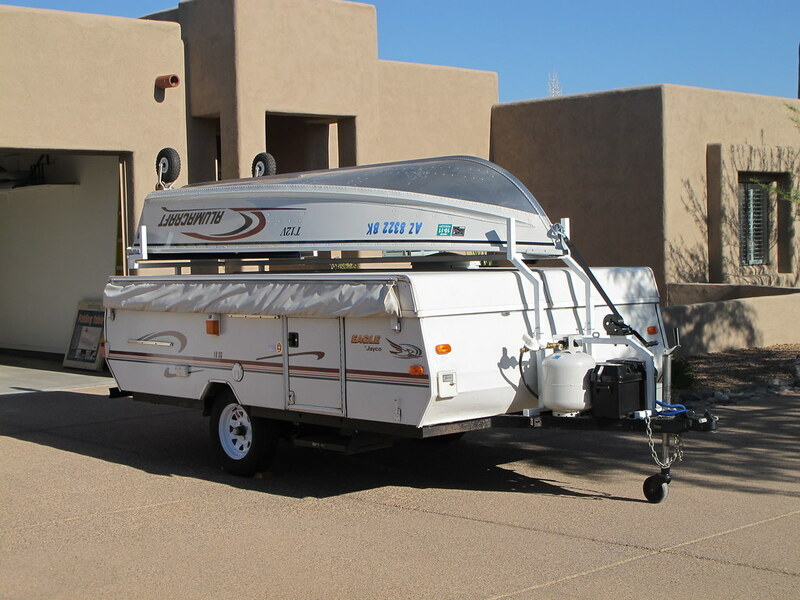 I have a 14' Starcraft that usually sits on the trailer but with the addition of a tent trailer I would like to put the starcraft on the truck rack. Does this sound reasonable? The boat is shown in the picture. is this a possibility instead ? Is that your setup? That looks sweet! here in Florida (Touristville) I see a LOT of truck/car/boat/camper configurations. do you have a photo of your 12footer on the roof rack ? Is this roof racks that come with the truck or are these after market that slip into the bed of a Pick up truck? If the 2nd option it won't be much of a problem at all. If standard roof racks you may do the boat but have to store the engine in the rear of the truck. We have lots of truck rack configurations here, but after trying it I decided my "lite" 15' jon was too heavy to lift onto my truck rack and bought a trailer. Ultra-lite 10' jon is no problem though. "Nothing’s better than the wind at your back, the sun in front of you, and your family by your side!" It is a home made rack. I've pretty much decided against it at this point. I was feeling very uncomfortable given the weight and the current rack that I have and decided to trust my gut, given the potential negative consequences of getting it wrong. I think I will wait until I have a heavier duty rack that extends over the cab of the truck. HAPPY CAMPING and BOATING !!! I don't know your domestic situation . . . .
fixed it up with a tarp/tent for camping out of it. my Dad bought a 14ft '59 Crestliner with a 35hp Johnson and we had a big tent. I have some very fond memories of those boating/camping trips.